Here’s a super quick experimentation with aperture & bokeh. When Jenny and I were taking pictures of cupcakes at Disney, we grabbed a table by the giant Christmas tree and positioned the cupcakes so the beautiful tree lights & decorations were the background for our photos. Below is a quick comparison of the different apertures we used and the different types of bokeh it produced. First, here’s the Christmas tree we used as our background. Which one do you prefer? I normally prefer shooting at 2.8 or below, but I really like how the tree turned out in the third picture, at 5.6. Give this a try with your Christmas tree! :) Experiment with your aperture and see how the bokeh changes. Here are a couple of photography tutorials to get you started. How far were you from the tree? Great tips! I have read few of your articles today and already learned a lot. Thanks a millionnnn…. I have the exact same thoughts. Generally like to shoot with F2.8 or lower. But love the bokeh that f5.6 gives in the last photo. Hi Amanda, I have a question about the lighting indoors. Did you use the flash from the camera to compensate? or did you use other additional lighting? also, I’ve tried bokeh but like another person posted I get blurry subject, what are your suggestions? Thanks in advance! These photos are incredible! I especially love the color in them, and I have a question about that. How did you get the tree to look like pastel colors (pink, turquoise, & blue) behind the cupcake when it looks like the tree ornaments are actually primary colors (red, blue, and green)? Do you need a special setting or lighting for that? Your pictures are always awesome! I love how you use actual photographs when explaining what you are doing (whether it’s photography or cooking) I am a visual person so you are one of my favorite go-to blogs for information. I feel the same as you. I prefer 2.8, but love how the photo came out with the 5.6. Thanks for sharing! The 3rd one was my favorite too but all 3 were great! I love the third as well! And I LOVE your site!!!!!!! Thanks for all the great stuff! So fun! Can you tell me about how far away from the tree you were?? Can’t wait to try this!! :o) Thank you! I love the third image. It really gives the picture some life in the background! I loooove all of your pictures. I am studying photography in school. I like the third one, but because the background dots so-to-speak are larger, it almost distracts from the cupcakes. It leads the eye from the sprinkles on the cupcake to the background ‘dots’ or lights. I think the second picture at 4.5 is my favorite. I guess it all depends on what you are trying to say with your photos. All are great as always! I enjoy looking at your website! I’m really interested in photography and these photos are great! Who cares about the bokeh, I want the CUPCAKE! Just kidding, the photos look great. I prefer the last one, myself. Thanks for posting such good information! I look forward to reading your blog because I always learn something new! I like the last one the best, too. I agree that the third shot is the best. All have the same basic characteristic near object focus, background blur. But the 5.6 aperture setting gave the crispest focus with the optimal effect of the lights in the background. The overall balance of objects is better in the third photo. This is proof that a “rule” for aperture settings is not always ironclad. In the digital age when wasting film is not a consideration, it’s well worthwhile to experiment with multiple settings to get the best overall composition and effect. The third pic is my favorite – maybe because it mimics the confetti on the cupcake?!! I found your tutorial on Christmas trees and bokehs yesterday. Is this at all achievable with basically point-and-shoot? I have a Nikon L110. I tried most of yesterday afternoon and never could get it!! Thanks for all the info. The 3rd one – the x-mas tree in the background isn’t too blurry. On the other ones my focus goes to the blurriness. Great photos, I like the 5.6 one best too. Thanks for the info – I love your turorials they’re always easy to understand. If you’re obsessed with bokeh like me… you should get the Bokeh Masters Kit. 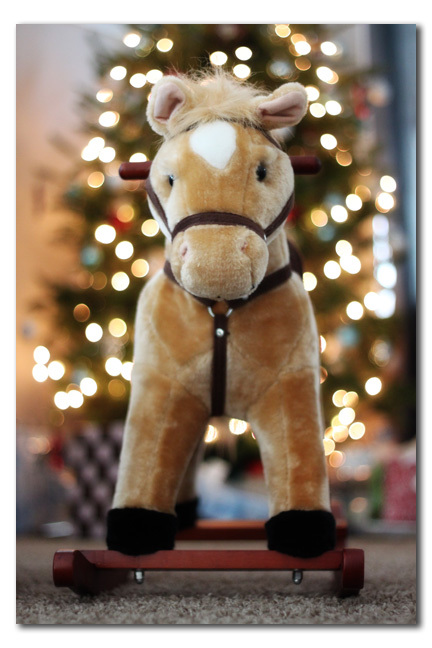 Makes shaped bokeh – SO CUTE! – especially perfect for this time of year when twinkle lights are everywhere!! Love all the pictures, but the 5.6 one is awesome. I have to start playing around with my Canon camera more. I have to read up on your site more and start to test different settings out. I recently borrowed someone’s macro lens and I’m in love. I don’t remember the exact lens, but it took some amazing pictures and that was just on the auto setting. ;) Thanks for always sharing such great posts. I love your blog. Thanks for the links for the photography tips. Thanks for posting this, Amanda! Number three is my favorite! Definitely. The 3rd one for sure…Beautiful. It’s so colorful and dreamy it almost magicaly brings out the inticing flavor all by itself…”awww I gotta have this yummy goodness” kinda effect. Thanks for posting! I was planning on giving the bokeh technique a try tonight, actually, for our christmas cards. I will give these settings a try as a start! The last one is my favorite! Love it Amanda!!! What could be any sweeter than a cupcake with Christmas tree bokeh?! Thank you so much for this quick tut., Amanda. I have been struggling a bit with my tree bokeh. The visuals helped a lot. Oh, and now I want a cupcake. Somehow, when I visit your blog, I always leave wanting a cupcake. I really like the tree in the third, but I prefer the cupcake in the first. Beautiful photos – thanks for the side-by-side comparison! Love all your pics. What a beautiful tree. I’m not photography savy but my fave is the first one because it features the cupcake more. Yum that cupcake looks good. :) Merry Christmas by the way. i am def. going to try this out!! thanks for always posting the BEST photo tips!!! I liked them all, but I think I liked the third one the best. It is always interesting to see what settings you used to get the effects. The 1st photo is more impressionistic and I think that the cupcake really pops to the front. The middle one starts to form impressions of circles that are repeated in the sprinkles on the cupcake so it draws your eye there. The third one has strong circular shapes as well as separated colors, so you begin to take in a more formal composition of the entire photo and not concentrate on the cupcake, only. I would say then it depends on what you are trying to say with your photo. Artistically speaking I like the THRID best. I think the lights on the tree mimic the sprinkles on the cupcake. SUPER photo!!! I really like the third one too. My new camera lens only goes to f/3.5 so I can’t get the first one….yet :)I like the lights better too. Cute cupcake! I love the results at 5.6! I normally try to shoot with a lower f-stop too but I love those results! I need to put some lights up to try this out! My fav, is the 5.6, very pretty!! Your cupcake bokeh is awesome!! i’m addicted to bokeh! i love my 50mm 1.4…yet i think i have to step outside of the box a bit! great post! You are haunting me with that lens:) Great photos! Def the third one! The cupcake is completely in focus and really pops! I love the cupcake pictures. The christmas tree is also beautiful.I love the vivid colors in the cupcake photo.I need to learn to take better pictures. I need help with ordering pictures. Have a great day : ). Looks like we all agree on the last shot! Pretty photo! 5.6 for sure. The Tree really looks more ‘magical’ in that photo. Question… Do you use a tripod when taking your photos? Definitely like the 5.6 shot. I love how the tree in the background has more defined spheres. For me it creates a fantasy look….and the cupcake is still the focal point of the shot. Great shots! 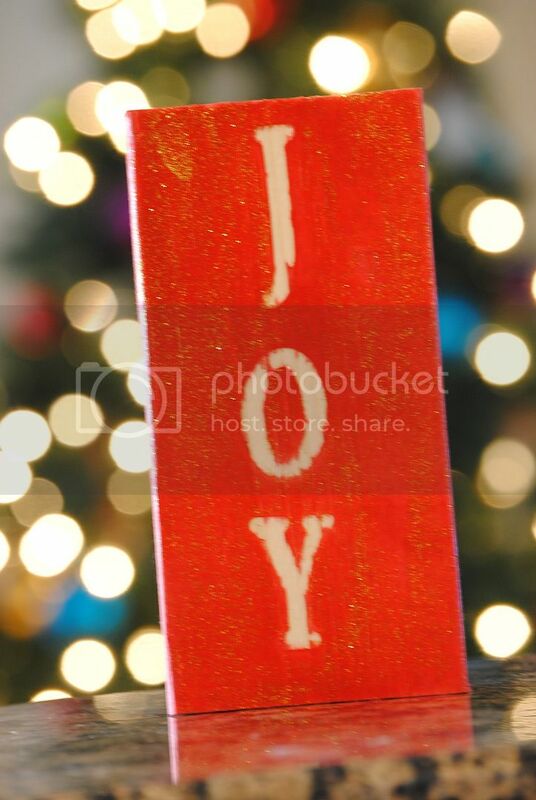 I love that the Bokeh is colorful as opposed to plain white lights! My favorite tree is in the third picture because it’s not too blurry. But I think the cupcake looks better in the first. It’s sligthly darker/sharper in color. Which of the three settings did that? Or is it a combination? The 3rd one is my favorite too. I can’t wait to take some tree pictures with bokeh, now that I have my new lens. Oh and I definitely see cupcakes in my near future now!! I don’t know much about photography, but your pictures are outstanding. I really like the one of the tree too!